If you’re looking to open up your home to enjoy more of your outdoor view from the inside of your home then picture windows are probably your best bet. 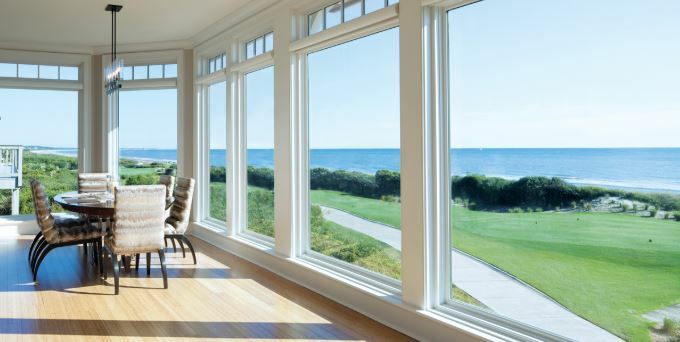 Picture windows are meant to bring in a lot of light into your home as well as significantly open up the viewing area. If this is something you are interested in then give us a call so we can go over the options with you. Picture windows do not open and are characterized by large fixed panes of glass. More modern styles allow you to branch out from the traditional single large pane of glass, but the modern style will have to be something you select yourself when it comes to the shape and size you want. What they all have in common is that they give you an unobstructed view of the landscape and let in a generous amount of light. The light that shines through a picture window can be very budget-friendly as it decreases the need for artificial light during much of the day. These windows are also a great solution for tucked-away spots that are well-ventilated but need more natural light. Picture windows are very energy efficient and since they can’t be opened they can be sealed tightly against drafts and are also insulated. You can even get double or triple paned windows which will further improve your energy efficiency. This will help maintain optimal temperatures year round. Large picture windows allow you to really open up your home to the outdoors, letting more light in and improve the ambiance. Depending on the drapes or blinds you choose can further add character to your home. The beauty of a picture window combined with its energy-efficient construction makes it a stunning addition to any home.